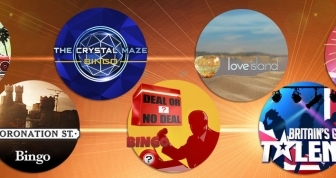 Top 5 Bingo Games This Summer | Enjoy Some Fun in the Sun! Finally, the dark, frosty mornings are behind us, and now that the sunshine has made an appearance, thoughts turn to jetting off on holiday. Some will be planning a big city trip, while others prefer to head for an exotic beach. For those who like to staycation, relaxing walks in the countryside might be just the ticket, or perhaps the dream is to go on a road trip somewhere. Whatever the plan is, a few rounds of bingo will soon trigger the feel-good factor and could even provide a bit of additional spending money. So, let’s have a look at the top 5 games that have managed to capture that wonderful summer feel. There’s a beachside setting for 90-ball Clickety Click, and all the different prize options provide the perfect way to top up the holiday funds. The standard game follows the usual 90-ball format, with wins for 1 line, 2 lines, and a full house. In addition to these, there are the clickety click jackpots, all of which are progressives. The Maxi Cash Collector can be won on 38 calls or fewer, and the minimum reward for landing this is £500. The big money version is called the Mega Ball Booster. This is netted if a full house is declared on 33 calls or fewer, and the minimum jackpot is an incredible £10,000! The sunny backdrop of Bouncy Balls certainly epitomises a beautiful summer’s day, but this 36-ball game provides a lot in terms of entertainment as well. The tickets for this session vary in price. Each ticket has four of the characterful little balls in their nests, and the 12 numbers are displayed on leaves around them. Every time a number is matched, one of the leaves disappears. The ball is ‘collected’ when the four leaves surrounding it have disappeared. The prize is awarded to the player who collects all four of the balls on the ticket. There is a progressive jackpot too, and this is paid out for 18 calls or fewer. Along with the idyllic beach setting, Coconut Island has some unique features. This is a 50-ball version of bingo, which in itself, is pretty unusual, but it’s the way that these are drawn that makes this game stand out from the rest. The numbers are contained within the coconuts on the tree, and during the draw, these drop onto the sand. They then break open to reveal the winning numbers. It’s a simple idea, but it’s strangely mesmerising. There are only two prizes in this game – for either 1 line or a full house. There is, however, a Treasure Chest jackpot, and this can be secured if house is declared in 15 or fewer calls. Anyone who’s planning to do a bit of travelling this summer will enjoy the idea behind Interstate. This is a 75-ball game, in which the theme is the open road. The idea is to journey through the various prizes on offer, and hopefully, to hit the right gears along the way. 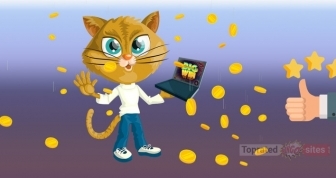 There are awards for matching 1, 2, 3, and 4 lines, as well as a larger payout for a full house. In addition, there is an accumulator jackpot, and this can be won for calling house on 45 or fewer balls. At certain times of the day, there are special offers available for this session, so this is definitely one to mark on the map. No holiday would be complete without a cocktail or two, and for this, bingo lovers should head for the session referred to as Local Pub. This is a 5-line version, which is also known as Swedish Bingo. At first glance, it might resemble the 75-ball kind, but it isn’t the same. In this variant, 90 balls are used during play, and the middle square contains a number. This is a fast-paced game, which can be won by covering 1, 2, 3, 4, or 5 lines, either horizontally, vertically, or diagonally. There’s a progressive jackpot too, which can be won on 47 calls or fewer, so there’s every reason to get the drinks in for this one! Dr Love on Vacation. Even doctors need a holiday, and Next Gen’s slot hero soaks up the sun in this 5-line slot. Paradise Reels. The beach is a feature of this 5-line slot, along with some tropical fruit symbols on the reels. 99 Time. The summer wouldn’t be complete without an ice cream, and this slot game has plenty to choose from. Beachside Bonanza. This scratch card is the perfect accompaniment to a few rounds of 80-ball seaside bingo. Aloha! Cluster Pays. Set on a Hawaiian island, this 5-reel slot has a symbol drop feature and tropical music. 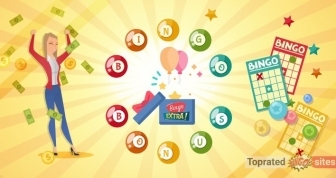 The majority of the bingo sites are fully compatible with a whole range of mobile devices, and so all you need is an internet connection. Whether you’re planning to spend your holiday on the beach or in your back garden, you won’t be short of something to keep you entertained this summer.